Follow the White Bunny: Summer sale! Summer has finally arrived in the Netherlands and to celebrate I'm having a rather spectacular Summer Sale! If you visit my shop, buy a pattern (or more, why stop at one?) 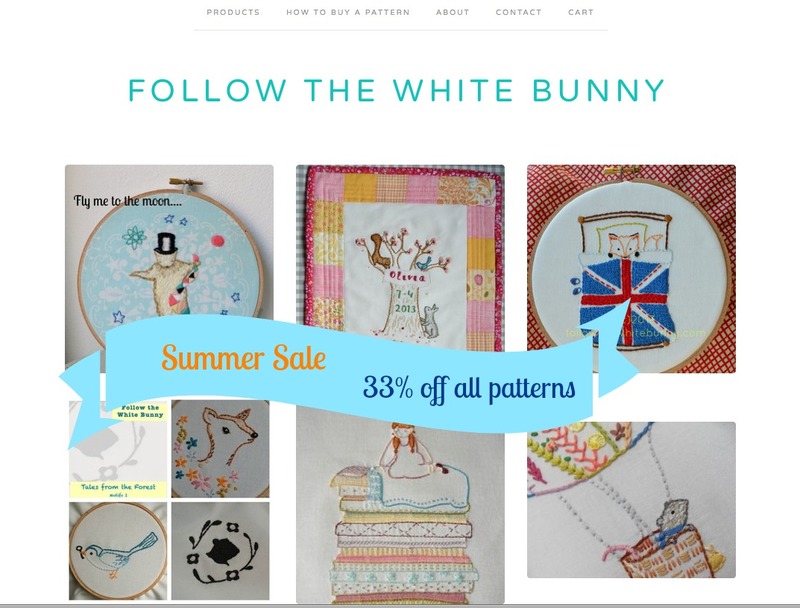 and enter code SUMMERBUNNY2013 you receive a 33% discount. Even on the new Fly me to the Moon and Blossom Tree Patterns. Discount code is only valid in my 'own' FTWB shoppe here. Sale ends this Sunday.